The sale of Toshiba's chip business was agreed last week, but are issues among the buyers already emerging? 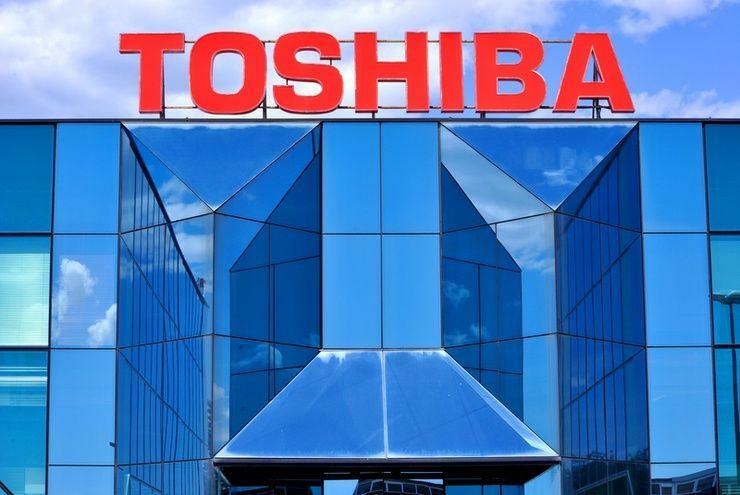 Toshiba has said it has signed an US$18 billion deal to sell its chip unit to a consortium led by Bain Capital LP, overcoming a key -- albeit not its last -- hurdle as it scrambles for funds to stave off a potential delisting. But in an inauspicious sign, a Tokyo news conference on the deal was cancelled, with Bain saying the consortium could not form a consensus on whether to brief media -- underscoring fears that the eight-member group contained too many competing interests for it to work well. The sale of the unit -- the world's second biggest producer of NAND chips -- was agreed last week after a tortuous auction process but the signing was delayed because consortium member Apple demanded new terms on chip supply, sources familiar with the matter have said. "This consortium has so many members that it is going to be hard to come to consensus and agree on who's going to take the initiative," said Hideki Yasuda at Ace Research Institute, but he added that if the sale was successfully completed it would reduce a lot of risks for Toshiba. The deal -- which must also overcome legal challenges -- will see Toshiba reinvest in the unit and together with Hoya Corp, a maker of parts for chip devices, Japanese firms will hold more than 50 per cent of the business -- a keen wish of the Japanese government. Pressure from the Japanese government, changing alliances among suitors and a slew of revised bids has drawn out the auction over nine months - heightening the risk that the deal may not close before the end of Japan's financial year in March as regulatory reviews usually take at least six months. If the deal does not close before then, Toshiba -- hurt by liabilities at is now bankrupt nuclear unit Westinghouse -- is likely to end a second consecutive year in negative net worth, putting pressure on the Tokyo Stock Exchange to strip it of its listing status. The sale also faces legal challenges from Western Digital, Toshiba's chip venture partner and rejected suitor, which is seeking an injunction to block any deal that does not have its consent. Western Digital, one of world's leading makers of hard disk drives, paid some US$16 billion last year to acquire SanDisk, Toshiba's chip joint venture partner since 2000. It sees chips as a key pillar of growth and is desperate to keep the business out of the hands of rival chipmakers. The acrimonious squabbling over Toshiba's chip unit also highlights the critical importance of NAND memory chips, as data storage is key to most next-generation technologies from artificial intelligence and autonomous driving to the Internet of Things. In addition to Apple, Bain's consortium includes South Korean chipmaker SK Hynix, as well as Dell, Seagate Technology and Kingston Technology -- all of which want access to NAND technology. Under the deal, Toshiba will have 40.2 per cent of voting rights in the chip unit and Hoya will own 9.9 per cent. The four US tech firms will not have voting rights.